As part of the formation of the federal government’s National Regional, Rural and Remote Higher Education Strategy, the Regional Education Expert Advisory Group visited the Geraldton Universities Centre (GUC) today. 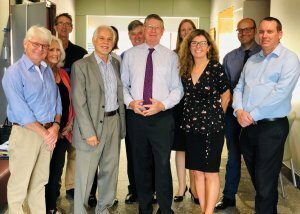 The Expert Advisory Group has been meeting with key stakeholders across Australia to better understand the educational issues and challenges facing regional, rural and remote communities. Chaired by The Hon Dr Denis Napthine, the group includes Emeritus Professor Peter Lee, former VC Southern Cross University, Ms Caroline Graham, Regional Skills Training CEO, and Ms Meredith Wills, former Geraldton Universities Centre Director. GUC Director Natalie Nelmes welcomed today’s visit. “Having the GUC and the wider Mid West community included on the itinerary for the Expert Advisory Group means our experience and thoughts will be considered in the national strategy for regional, rural and remote education,” she said. 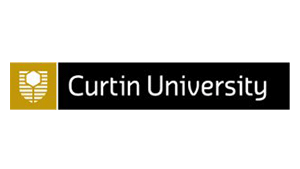 The GUC was the first independent, community run universities centre in Australia. The federal government has recently provided $24.2M in funding to support similar models through their Regional University Hub funding which is also a part of the National Regional, Rural and Remote Higher Education Strategy. 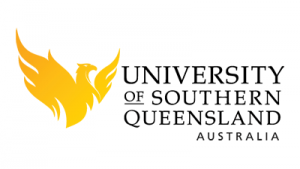 “The GUC has been working with communities throughout Australia who have been funded to establish their own university hubs, helping them shape operations to best suit their regions. One strategy we have been promoting is to bring all regional university hub proponents to Geraldton for a conference so we can learn off each other and work together in the future,” Ms Nelmes said. Part of the Expert Advisory Group’s role is to determine the need for a Commissioner to oversee the implementation of the National Regional, Rural and Remote Higher Education Strategy. “GUC is strongly supportive of a Commissioner being appointed who can appreciate that a one size fits all approach is not applicable in regional Australia and can keep a constant focus on the needs of regional, rural and remote education,” Ms Nelmes said. In addition to meeting with GUC Board and management, the panel also met with representatives from Central Regional TAFE, Mid West Development Commission, City of Greater Geraldton, and the North Midlands Education and Industry Training Alliance.